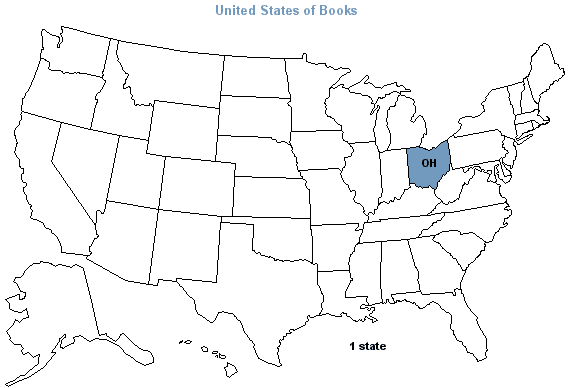 Welcome to the first installment of the United States of Books (click here for info). Today’s pick is from the state of my birth – Ohio. Winesburg, Ohio is a series of interconnecting short stories (twenty-two in total) published in 1919. 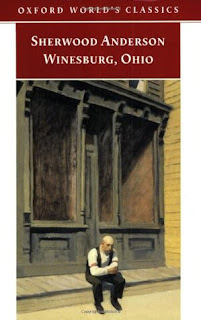 It is considered to be one of the earliest works of modernist literature and in 1998, the Modern Library ranked Winesburg, Ohio 24th on its list of the 100 best English-language novels of the 20th century. Focusing mainly on George Willard, a young man coming of age in the early 1900’s in a small town, all the stories revolve around the citizens in the town. Stories range from tales of the local doctor, school teacher and merchant. Tales of scandal, the women who was the first to have a driver for her carriage, family, the mother who is uninterested in raising her child, and love, a brief affair concerning the town doctor, showcase the citizens of the town. Over one hundred characters are mentioned, some only once and some weave through each story. It was interesting to see that gossip about others was prevalent in that time and that jealousy regarding monetary and social statuses were also heavily in play. There were very obvious social classes and the interaction between the haves and the have nots was a primary focus. This was a very fast read at only 180-ish pages and I did enjoy it. The pacing was quick, as each story was only a few pages long. The world building was superb. Sherwood Anderson created such a complete and well fleshed out world, I could picture the streets, the stores and the houses as I read. The characters fit well in the world and even though you only got glimpses into their world, I understood their motivations and actions. While Winesburg, Ohio is not a typical read for me now, I was a classic English lit major when I started college and have read a large amount of classics in the past. It was nice to get back to my reading roots and delve into a story (in this case stories) that don’t focus on social media mishaps, love found across a bar, or a helicopter parent. Not that I don’t enjoy reads like that, but sometimes focusing on the writing itself is a welcome change. Favorite lines – In all the babble of words that fell from the lips of the men with whom she adventured she was trying to find what would be for her the true word. Little pyramids of truth he erected and after erecting knocked them down again that he might have the truths to erect other pyramids. Have you read Winesburg, Ohio, or added it to your TBR? This will be a fun year stretching me outside my reading comfort zone doing this with everyone..